A few years ago, the idea of a bottled cocktail might have prompted some wincing. But, pre-bottling and batching cocktails is a concept that has steadily gained popularity in premium bars in London and beyond over the past few years. At first this appeared to be a fleeting trend, but is now a very practical answer to growing global demand for cocktails, which has commonly left many staff struggling with the pressing chronology of shaking and stirring at a busy bar. Notably fashionable and not without critique, the technique of pre-batching and bottling mixes is gaining traction globally; not only for benefits to service but for their transformation of the customer experience. 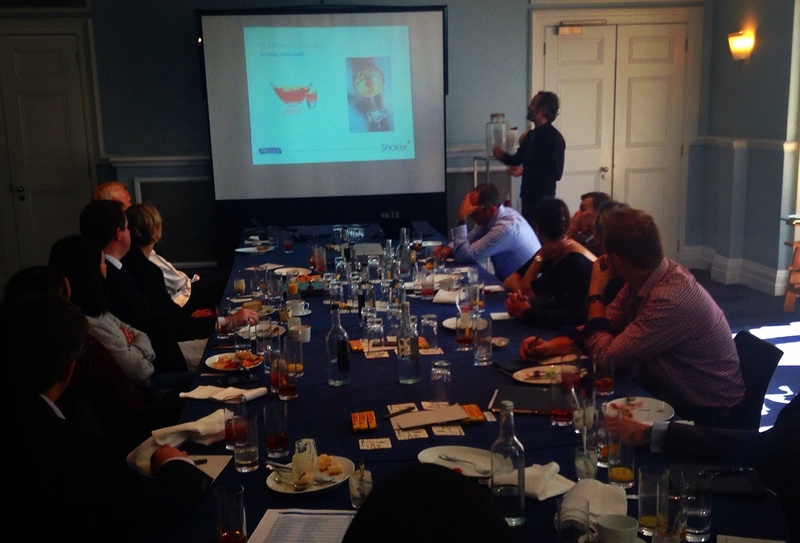 In October 2014, Prestige Purchasing hosted a workshop lunch on pre-batching and bottling cocktails, which was attended by various hospitality leaders and presented by bar consultants Shaker Consultancy. Inviting an open discussion on what would appear to be a new and relatively controversial type of cocktail ended up drawing a surprising consensus from observers; that, although admittedly a steer away from the mixology of the classic mixed drink, pre-batching and bottling makes sense: it improves service and, if made right and despite limitations to ingredients, tastes great. From a business perspective, it solves a problem. If we take the popular cocktail (sales of which have increased by almost 11% in the past two years, according to The Mixed Drinks Report 2014) and present it as a convenient batched or bottled drink, the advantage for business is obvious ergonomics. The humble bottle, for example, in its production line and ready to hand, gifts a seamless bar; satisfying popular demand with timely service that doesn’t compromise quality. In short, more people can be served and at a quicker rate. Equally, barrel-aged, pre-batched cocktails can provide the same swift service, removing the mixing process while still producing an impressive serve. Less perishables means less waste, and a streamlined service means less money spent, more people served and therefore a revenue increase, despite the initial stock investment. On top of that, prepared drinks, in a production line of sorts, offer the same ratio of ingredients in every glass (or bottle); the consistency of which establishes the drink as a product in itself and one that becomes associated with the bar. While the benefits to operation and business are indisputable, the doubt that leaves some on the fence stems from whether the quality of a premium drink is sacrificed in it not being ‘fresh’. Tony Conigliaro of London’s 69 Colebrooke Row, who is often credited with the revival of the bottled cocktail trend, argues that potential for flavour experimentation reaches new heights with the ageing in bottles and barrels. It’s a fair point when you consider the transformative powers of controlled ageing. Every six months, 48 bottles of Manhattan cocktails are put down; with his first batch laid down eight years ago. Aged like wine, the pre-batched cocktails oxidise over time and are thus smooth and aromatic.